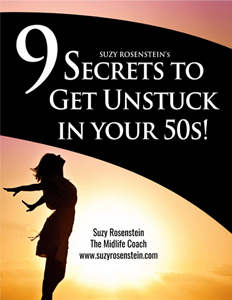 suzyrosenstein.com is a service that provides personal coaching to individuals and groups regarding tasks, strategies and attitudes towards life’s experiences and transitions. You are aware that such coaching is in no way to be construed or substituted as psychological counselling or any other type of therapy, medicine, social work, formal education or like disciplines. I will at all times exercise my best professional efforts, skills and care of ensuring you are coached to meet your coaching goals, you understand and acknowledge the coach or suzyrosenstein.com and Susan Rosenstein will not be liable legally or otherwise, for the actions the client may or may not undertake as a result of the coaching sessions. You take full responsibility in the decisions you make after being coached as well as the consequences. You enter into coaching with full understanding that you are responsible for creating your own results. As a courtesy suzyrosenstein.com may provide links to other web sites which may be of value, interest and convenience to you. This does not constitute endorsement of material at those sites or any associated organisation product or service. It is the responsibility of the user to make their own informed decision about the accuracy of the information at those sites including their privacy policies. By accessing information at and through this site each user waives and releases suzyrosenstein.com and Susan Rosenstein to the full extent permitted by law from any and all claims relating to the usage of the material made available through this web site. In no event shall suzyrosenstein.com and/or Susan Rosenstein be liable for any incident or consequential damages resulting from use of the material.